Happiness is making a dish for your loved ones. 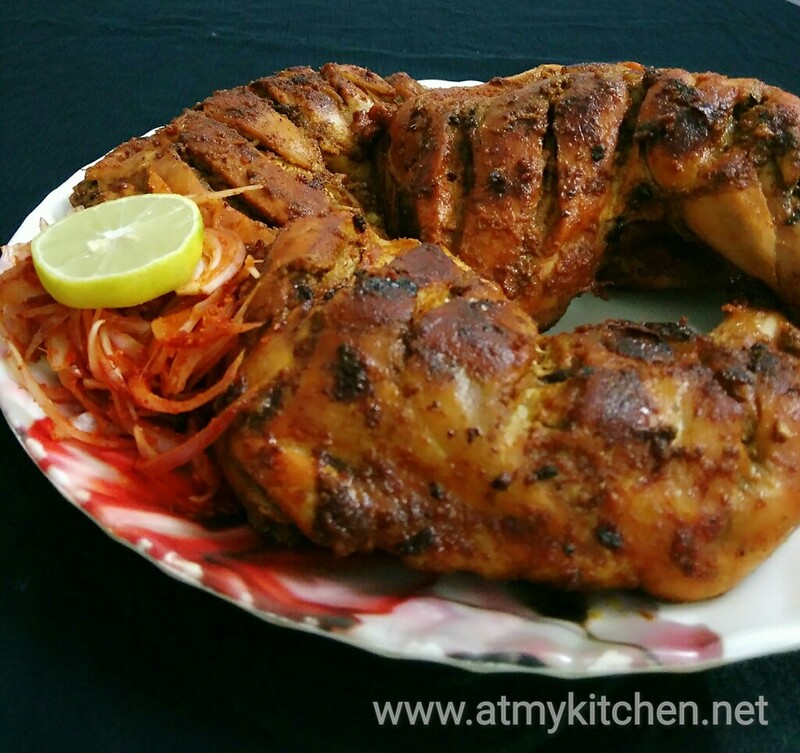 This is the chicken I baked for my Hubby’s Birthday as it is one of his favourite. 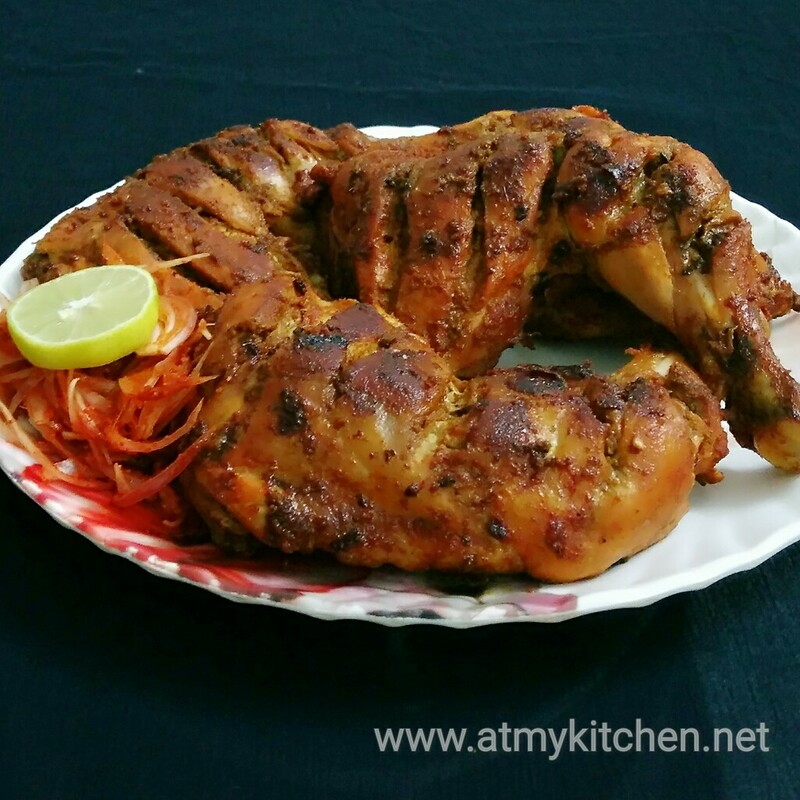 Learn how to bake whole chicken leg by following my simple and easy recipe. It doesn’t require any fancy ingredients and can made with limited ingredients easily available in your kitchen. The chicken is moist, juicy and succulent. It turned out very aromatic, flavorful and delicious. 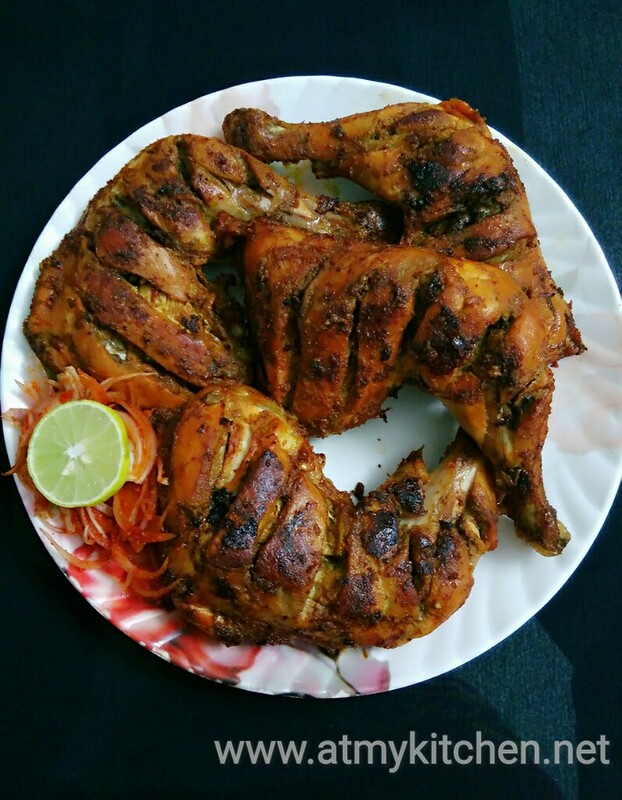 The whole chicken legs are marinated for couple of hours in spices and then baked in an oven to perfection. This is a perfect and must try recipe for any special occasions or to please your near and dear ones. Take the washed chicken leg and pat dry with kitchen towel. Make slashes on it with a knife. Add the chicken to a bowl. Add ginger garlic paste, turmeric powder. Lemon juice, salt and rub them nicely over the chicken. Let it stand for 10-15 min. Next add all the remaining ingredients, mix nicely and rub the chicken well with the marinate ingredients. Let it marinate. The longer the better. I Kept for 4 hrs. Take the marinated chicken Leg. Mix well again. In a baking try lay the chicken legs in single layer. Preheat oven to 180° for 5-10 min and bake for 30 mins. Turn sides every 5-10 mins. Increase the temperature to 200° and bake for 10 mins more, 5 mins on each side. I served with onion salad and lemon. i will try your this receipe, looks yummy….. Thank you so much for stopping by my blog and leaving a message. Will definitely go through your post, meanwhile I would like to know like is there any cost involved?